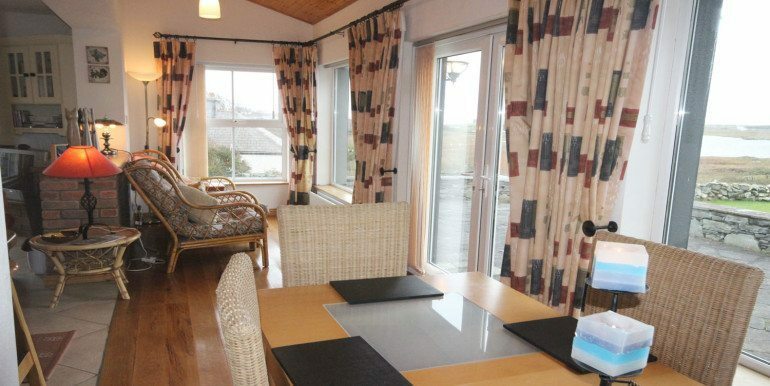 Stunning, modern cottage with beautiful scenic lake and mountain views. Cosy and homely, you will find your home away from home at Murlach Cottage! 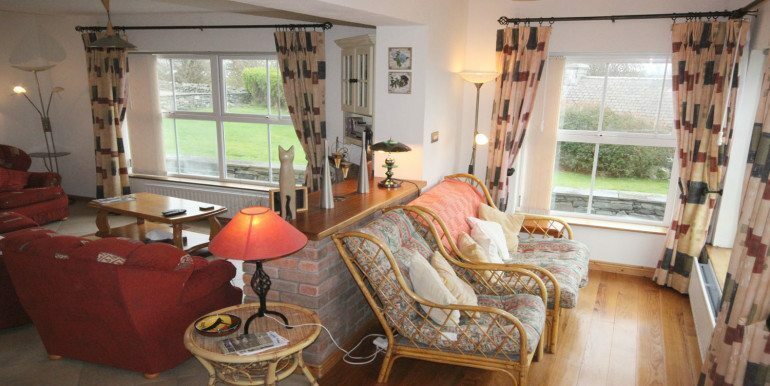 This beautiful 4 bed room cottage is only a 5 minutes’ walk from Ballyconneely village where you will find 2 shops, a post office, a playground and a pub with a large beer garden which serves delicious food throughout the day. The house boasts scenic mountain and lake views. This cosy cottage is modern, yet homely; an ideal spot for a family. 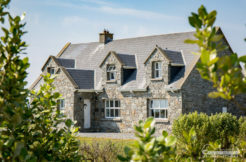 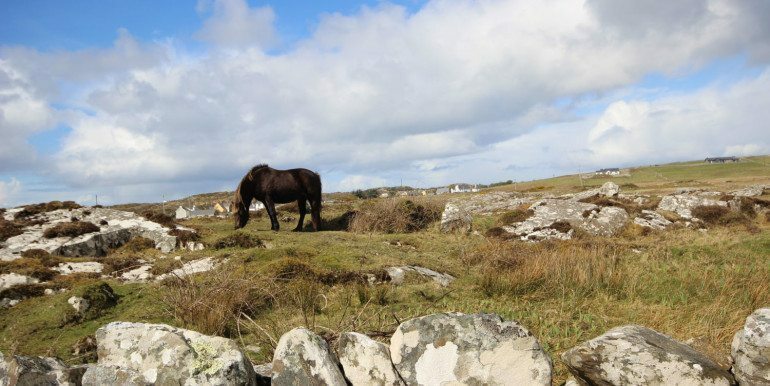 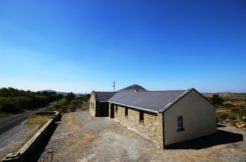 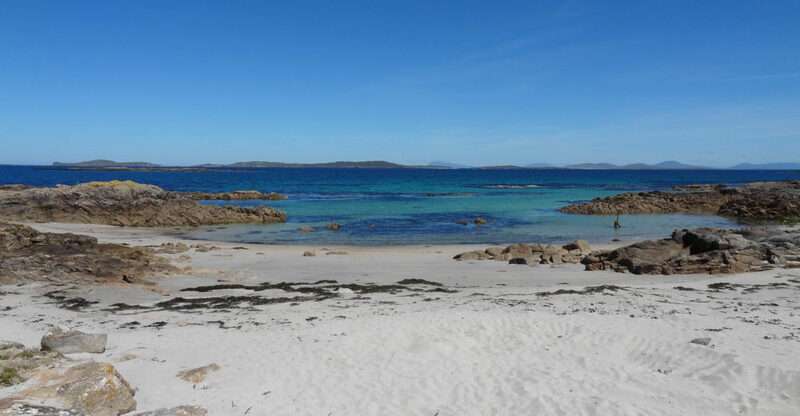 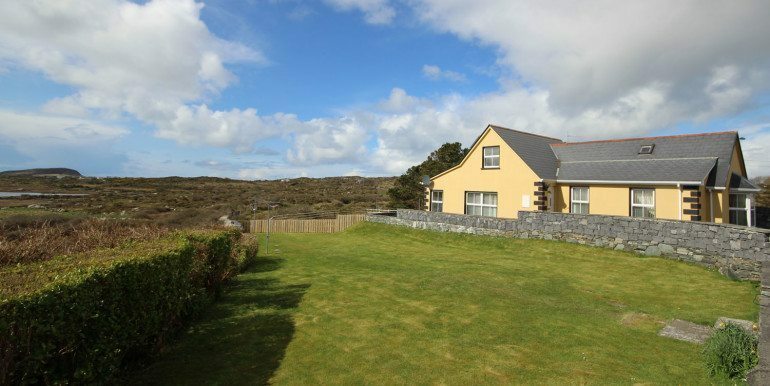 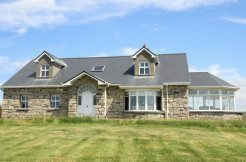 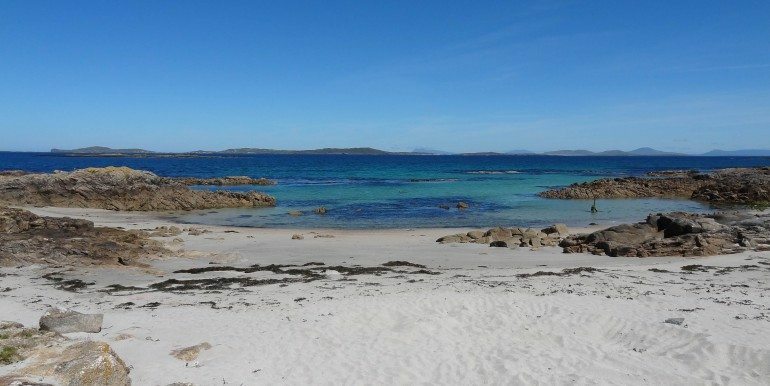 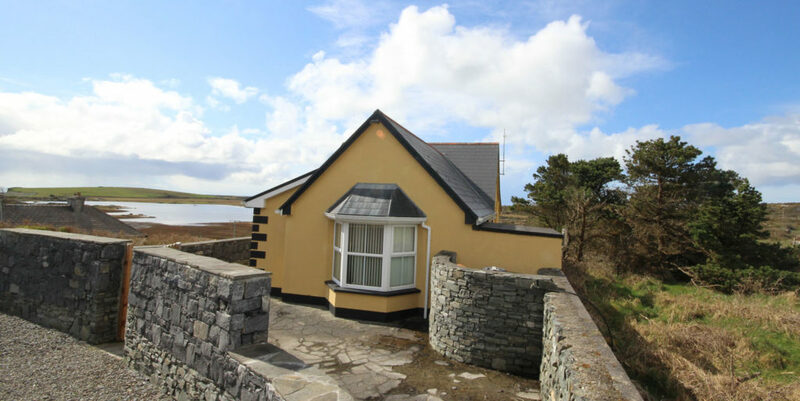 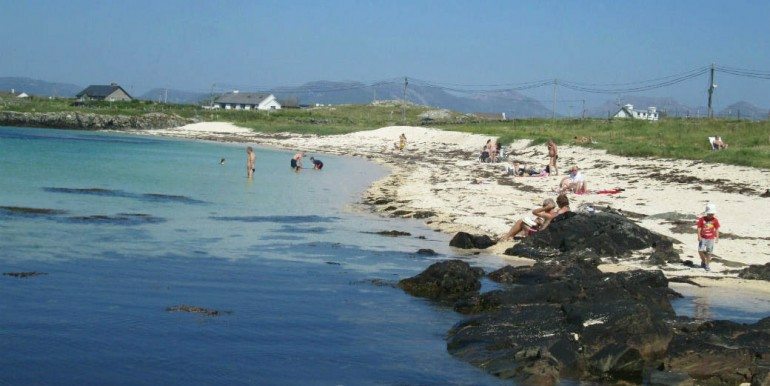 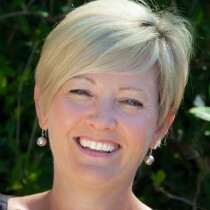 The property is a short drive to the Connemara Golf Course, so it is an ideal spot for avid golfers! 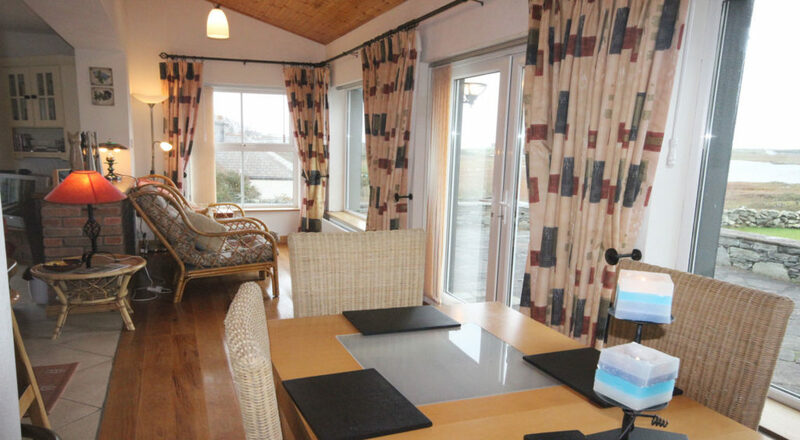 Stunning, modern cottage with beautiful scenic lake and mountain views. Cosy and homely, you will find your home away from home at Murlach Cottage! 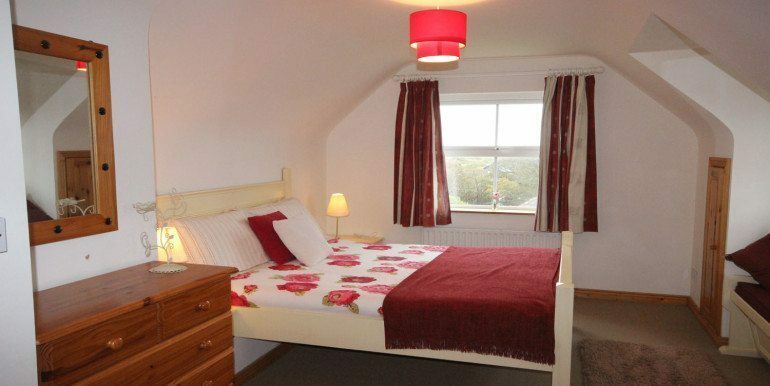 This beautiful 4 bed room cottage is only a 5 minutes’ walk from Ballyconneely village where you will find 2 shops, a post office, a playground and a pub with a large beer garden which serves delicious food throughout the day. 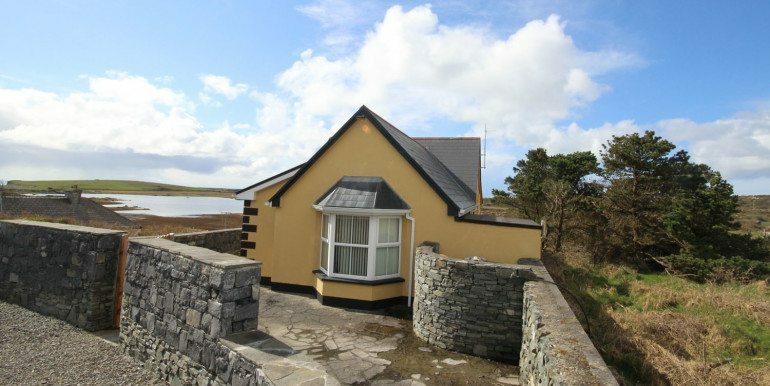 The house boasts scenic mountain and lake views. 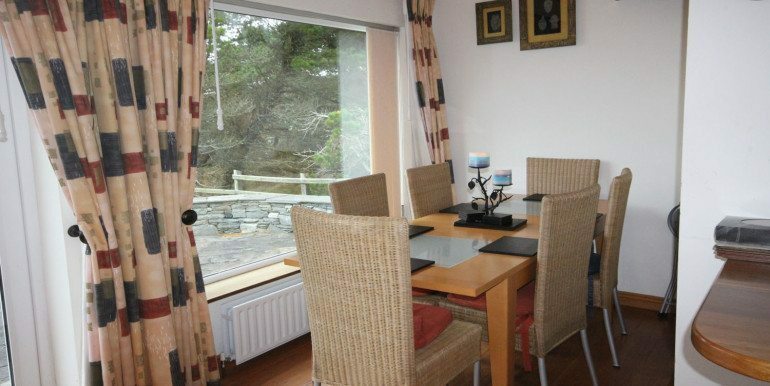 This cosy cottage is modern, yet homely; an ideal spot for a family. 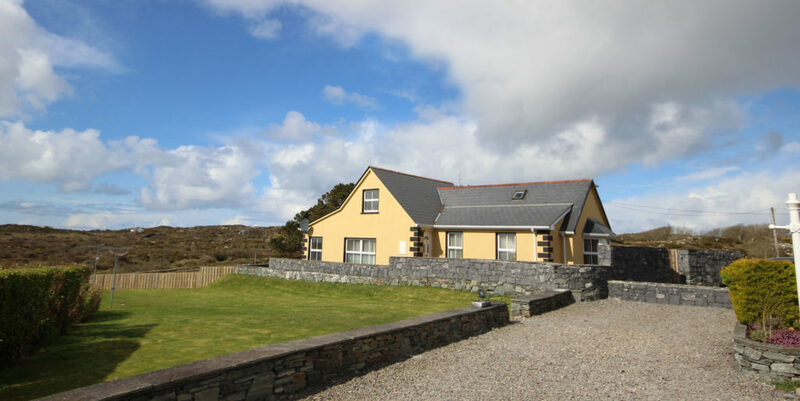 The property is a short drive to the Connemara Golf Course, so it is an ideal spot for avid golfers! 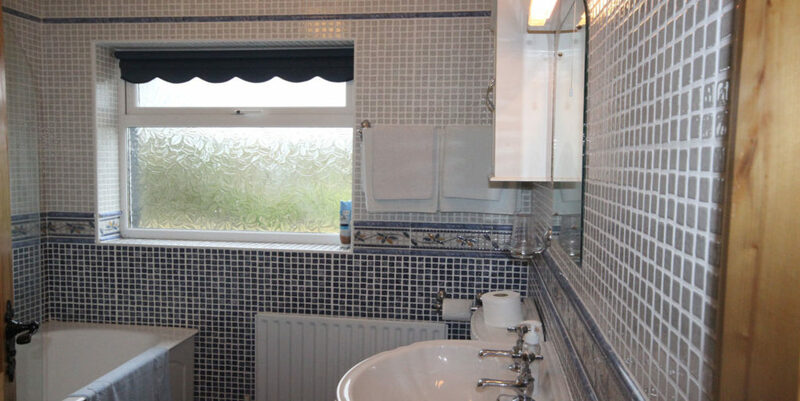 Down 3 steps from the hallway, you have an open plan, tastefully decorated Sitting Room, Kitchen and Dining area. 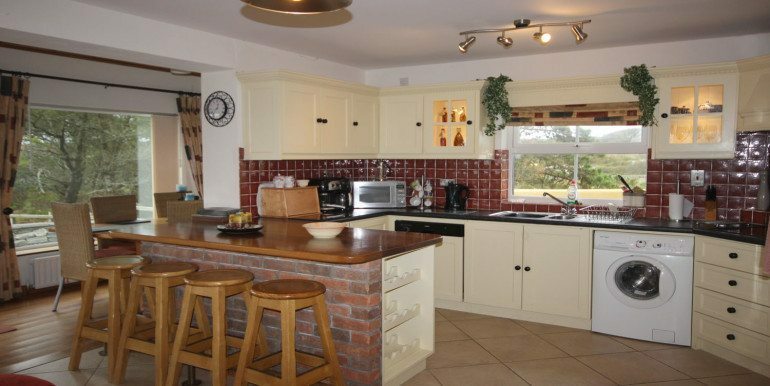 The Kitchen is fully equipped with a breakfast bar & all mod cons such as a dishwasher, microwave, coffee maker, kettle, toaster, electric hob & oven/grill. There is also a washing machine & dryer. 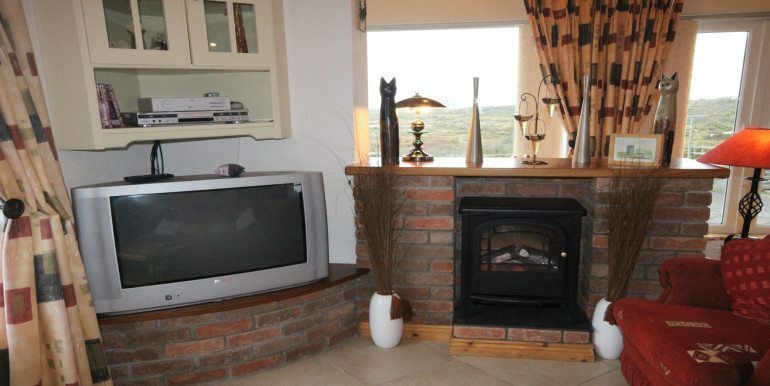 In the living area, there is a large TV with a DVD player & Free View box and a stove style electric heater. 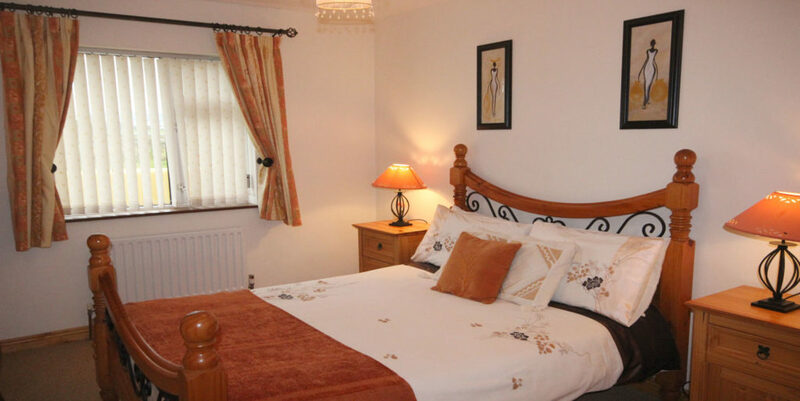 Bedroom 1 has a double bed with a large wardrobe and dresser. 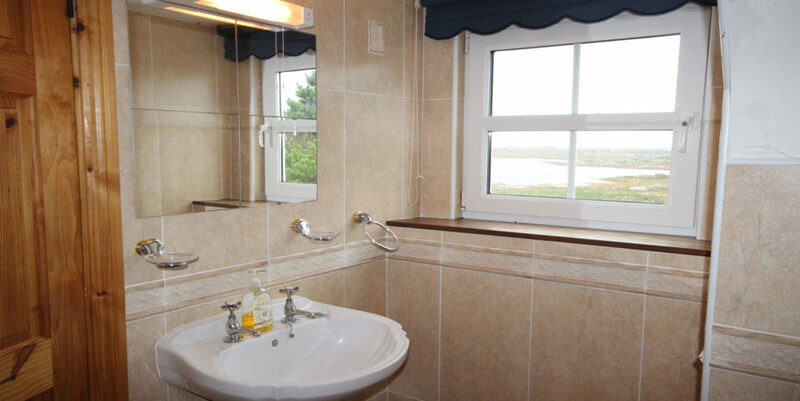 The window overlooks the side of the house. 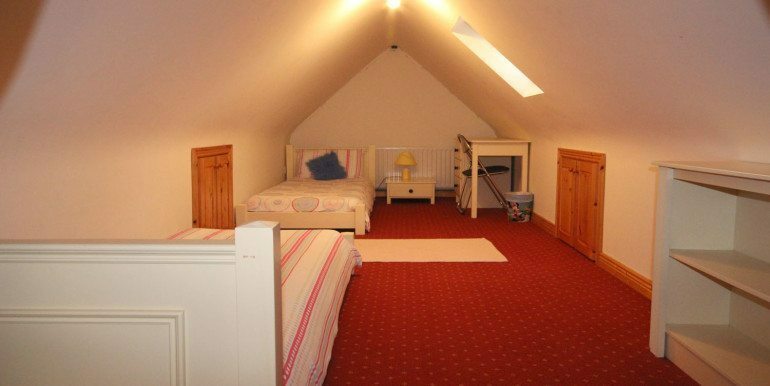 This is a large room with a double bed, wardrobe and dressing table. Windows overlook the front and side of the house. 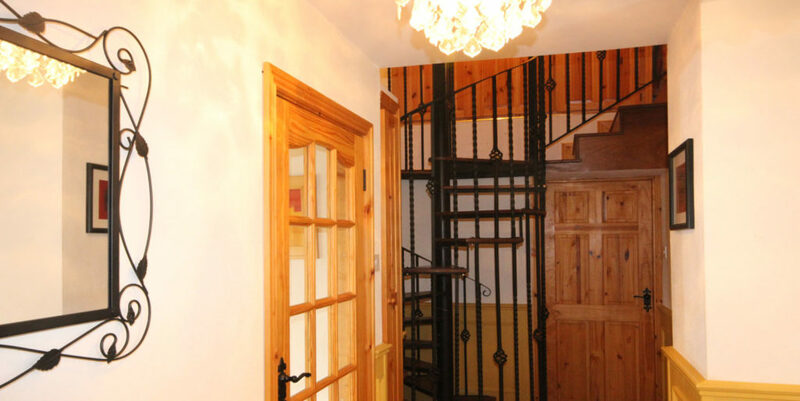 A spiral staircase leads you upstairs where there are two bedrooms. 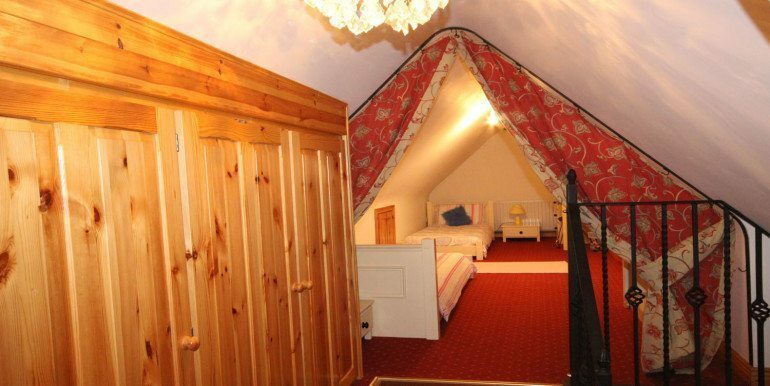 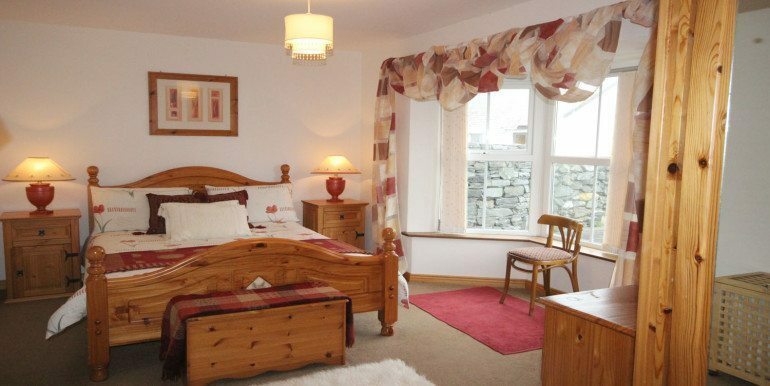 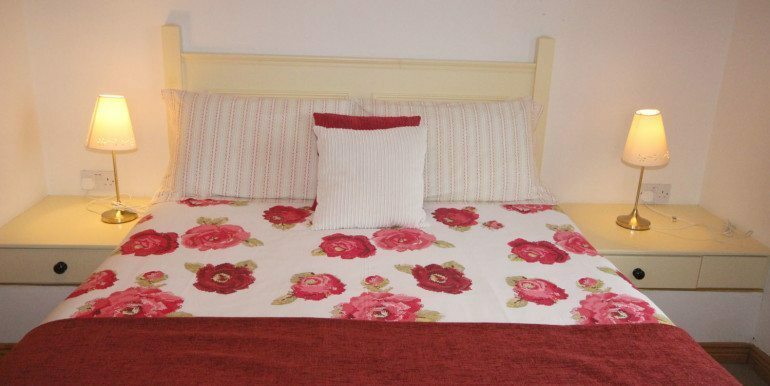 A large room with a double bed with stunning lake views and en-suite shower/bath. 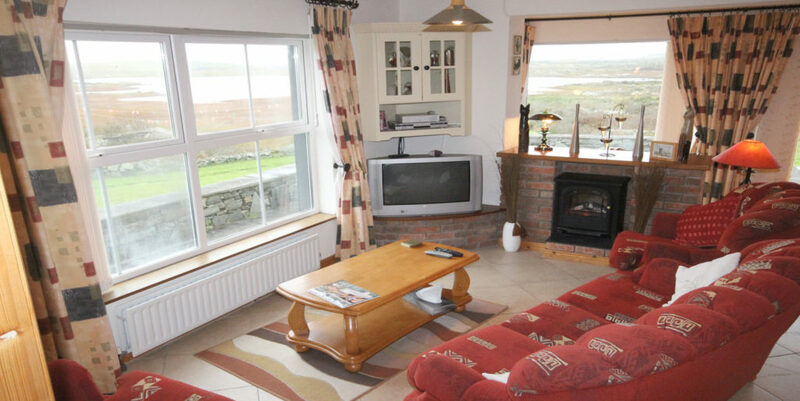 Oil and Electricity is metered upon arrival and departure . Please note that €250 security deposit is required upon arrival. 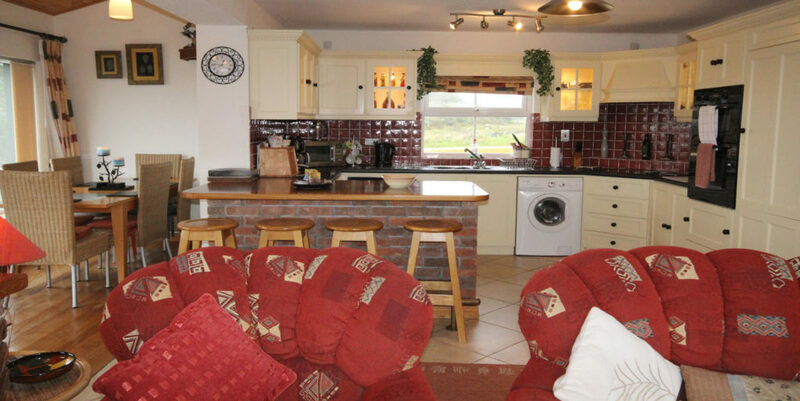 As long as there are no breakages or damage to the property this will be refunded on departure.